SaberSync creates a secure area on your local hard drive called a Vault. All folders and files stored on a Vault are protected by 256-bit encryption. When the SaberSync application is closed, your Vaults are invisible, making it impossible for unauthorized individuals to access your private data. 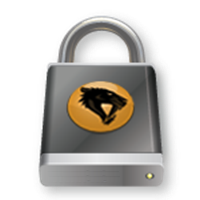 Starting the SaberSync application, and entering your personal password (only known by you) unhides the Vaults and makes them readily available within your standard file management applications (i.e., Windows Explorer, Mac Finder). 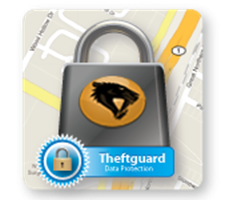 Keeping your local data encrypted and password protected is only the first line of defense against data theft. In the event your computer is stolen, SaberSync uses a unique serial number assigned to each device to give you the ability to remotely “shred” all files and folders on your SaberSync Vaults as soon as someone tries to access them. The tracking even allows you to locate the missing device on Google Maps. Hard drives crash and computers get stolen but that doesn’t mean you data will be lost. 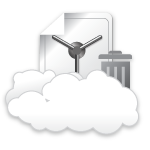 Everytime a file is changed or a new file is saved on your Vault it gets backed up to the cloud. Since your files are backed up to redundant servers in the cloud, SaberSync provides instant disaster recovery. 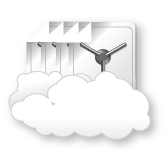 The unlimited backup is subject to our Fair Usage Policy to ensure users are afforded equal access to the cloud. Security is also available when your files are accidently deleted. SaberSync retains 14 daily backups of your Vaults allowing you to retrieve past version with a simple restore function from your SaberSync online portal (at mySaberSync.com). 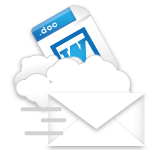 FolderLink allows you to provide access to an entire folder of files on your secure server. Instead of initiating a file download (like a FileLink), FolderLink directs the recipient to a web page where they view and upload files (if given authority to do so). 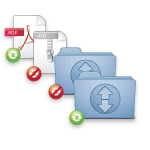 FolderLink is simple to use and can replace more complicated services like FTP. Sending files tends to be with individuals in your extended network, emphasizing the need for additional security on files shared through this method. 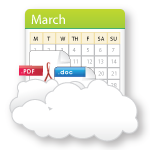 FileLinks and FolderLinks include the following options: password protected links, limitations on the number of file downloads allowed, and expiration dates for when the links no longer function. Sending data can sometimes be a mystery when it is unclear whether others are reviewing the files you are sharing with them. 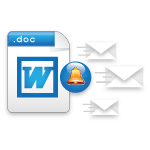 Both FileLink and FolderLink allow you to receive an e-mail whenever the recipient downloads a file that has been shared. The SaberSync “Embed in your site” option for folders allows you to create a widget for your web site or blog. The widget can be used to share the contents of any folder on your Vault. There is even an option allowing users to upload files to your folder. 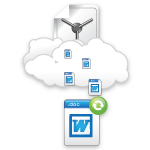 There is no need to worry about synchronizing your files and folders, simply drag and drop or save your documents directly to the Vault and SaberSync does the rest. Every time you log on, SaberSync scans the online Vault and automatically synchronizes the files that have been added or changed by other team members. Sharing data in a Vault means you see the same files and folders on your local drive as all others sharing the same Vault. In addition to viewing the files, however, each individual may be given different access rights to edit files, invites others to the Vault, or send the files to others. Keep track of when others add, delete, or modify files within your shared Vault. 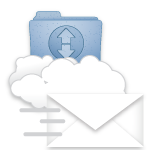 File Notifications allow you to set e-mail alerts on specific files or entire Vaults so you can keep track of any changes to your files. When a file is deleted on a shared Vault, all individuals sharing the Vault have the file deleted from their local drive. In the event files are deleted when you didn’t want them to be deleted, all files are preserved in your Online Trashcan. SaberSync employs DeltaSync technology to speed up the synchronization process by only updating the portions of the file that have changed. Sometimes files are too sensitive to share but you want to keep them within your shared Vault for organization purposes. The ignore files action allows you to tag files within your local drive you do not wish to share with others. Ignore files can also be used to stop very large files from synchronizing until you have higher bandwidth connectivity. The SaberSync online dashboard gives you the ability to easily manage your files from any computer through a secure connection. You can use the intuitive file manager to view your Vaults, upload multiple files at once, move, copy and rename files, preview photos, and share files with FileLink. Each SaberSync Vault has a unique email address allowing you or your team to email files directly to your Vault. 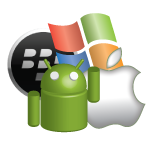 The files are saved in a folder and available for review and refiling. 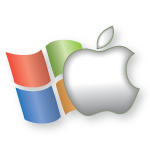 Synchronize your personal and business computers so you always have access to your files regardless of the computer you are using.